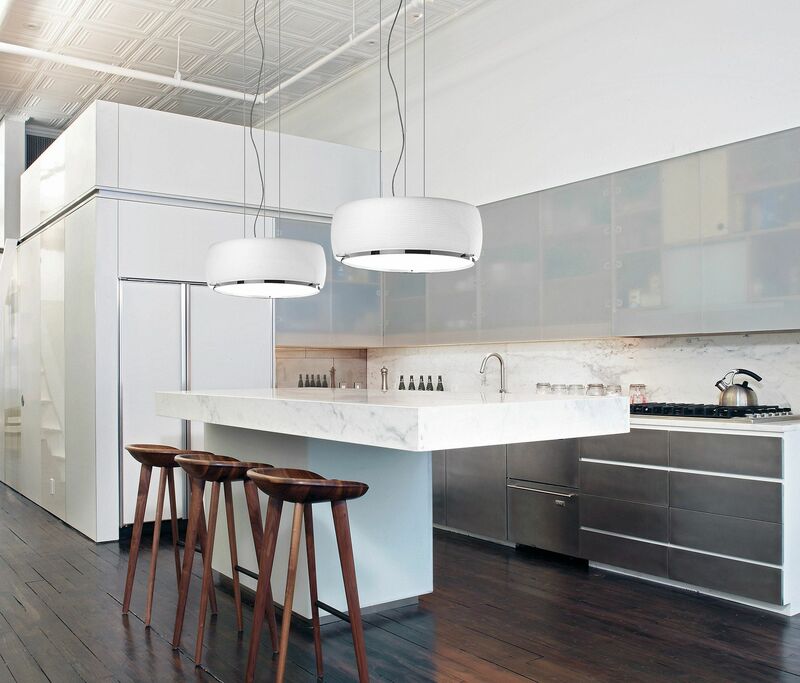 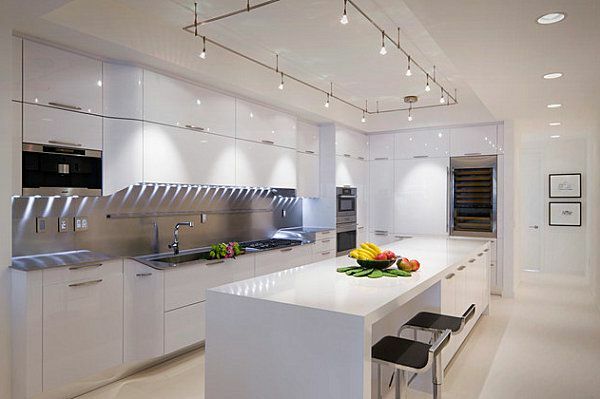 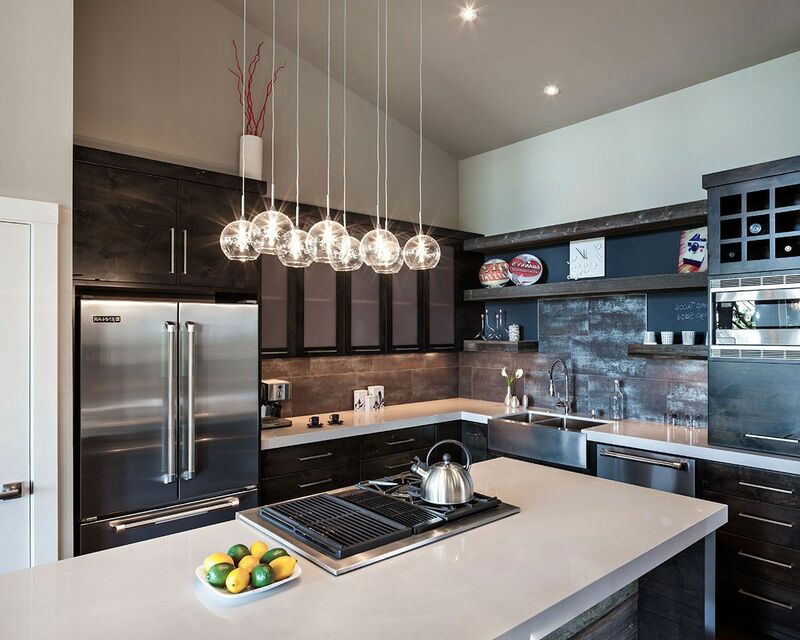 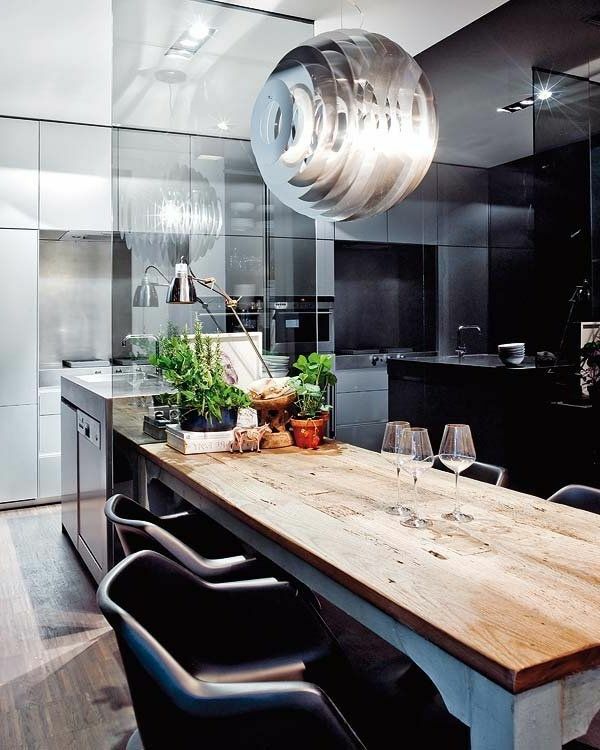 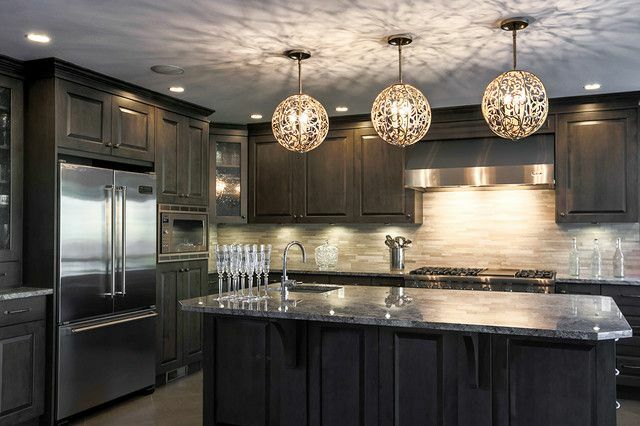 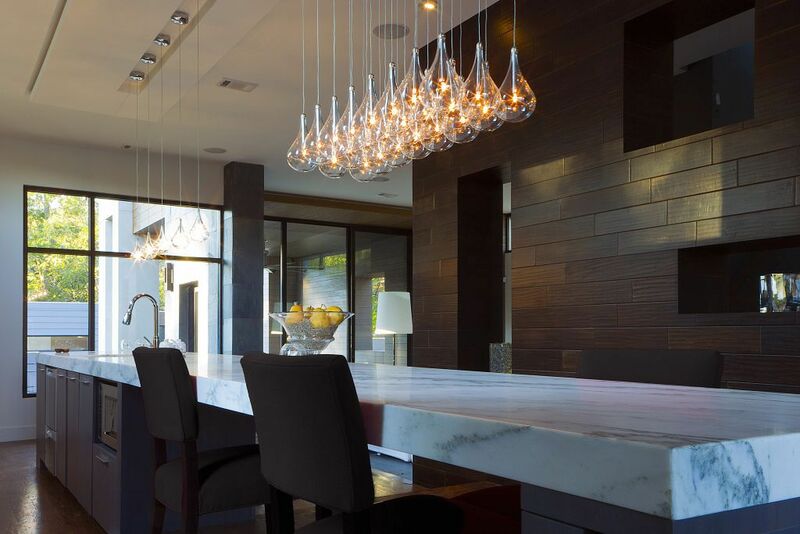 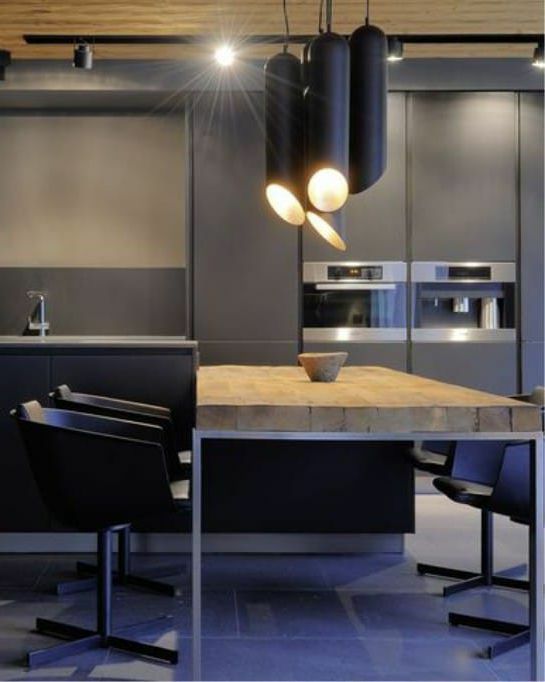 Modern kitchen chandeliers amaze with a variety of colors and styles. 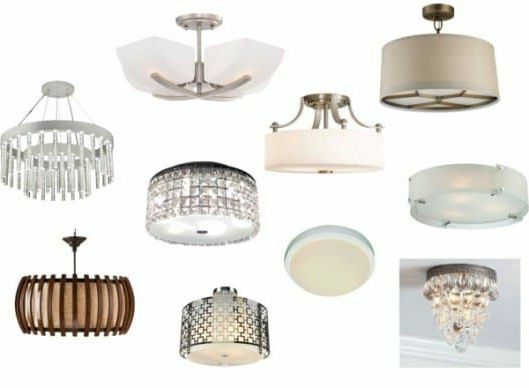 Lighting is an important part of every design. 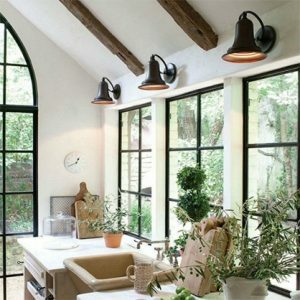 The right lighting is able to make your kitchen cozy, comfortable and nice. 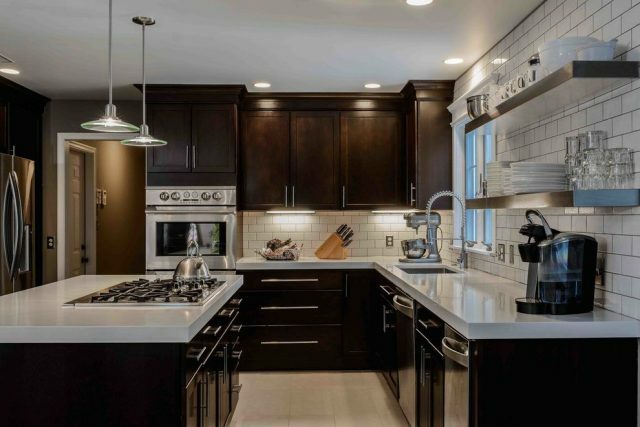 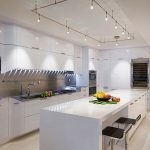 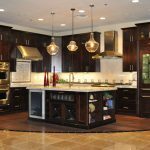 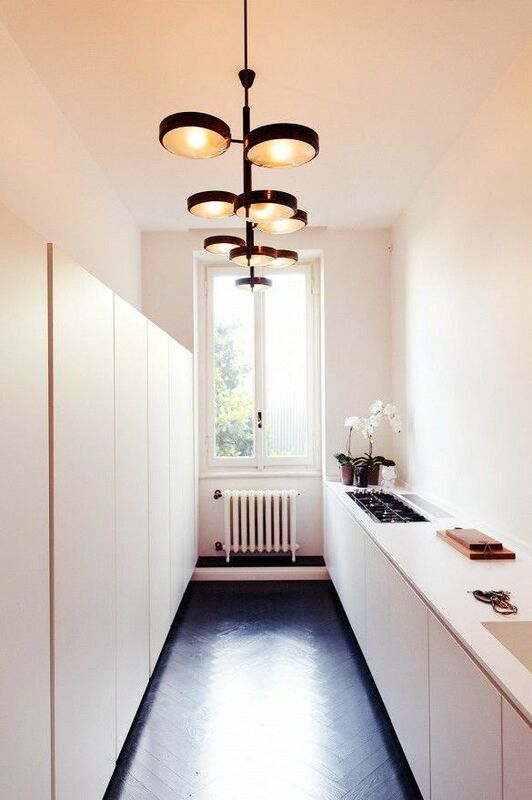 Here you can get to know what you need to take into consideration when choosing kitchen lighting and how to choose the perfect one in accordance with the kitchen design. 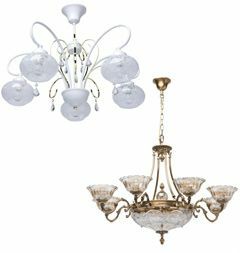 Suspended chandeliers: one or more plafonds, fixed on a cord, chain or string. 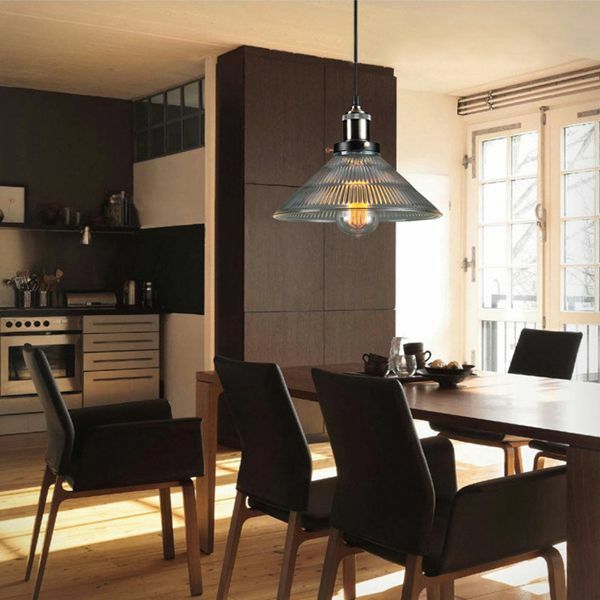 A lamp with a shade is a traditional option for a kitchen. 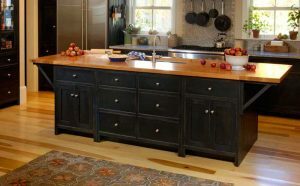 It is usually hung over the table and, as a rule,this is enough for a small kitchen. 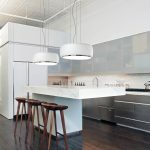 The plafonds of the suspended chandelier can be made of glass, plastic, fabric and even paper. 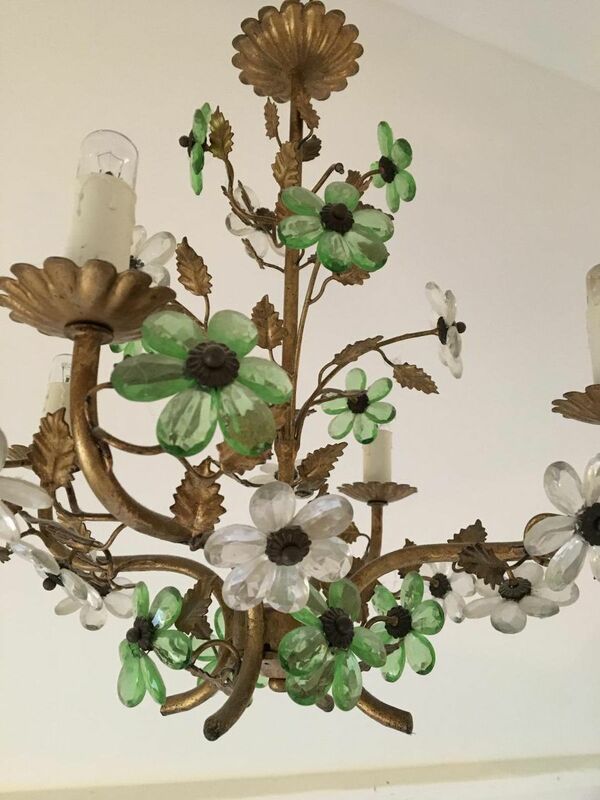 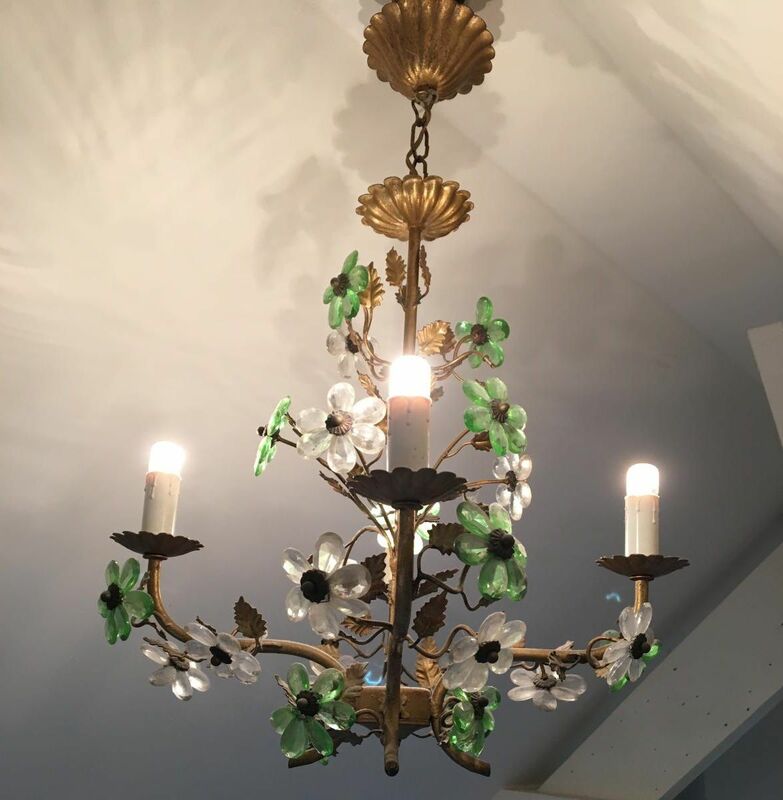 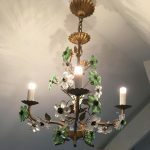 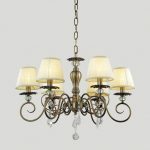 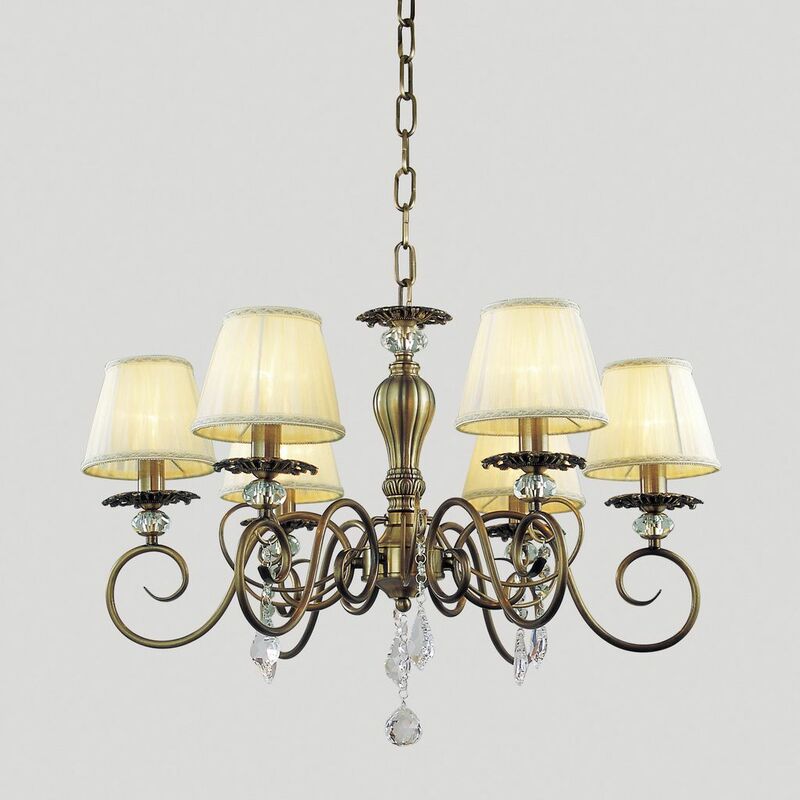 The variety of shapes and designs makes this type of chandelier almost universal. 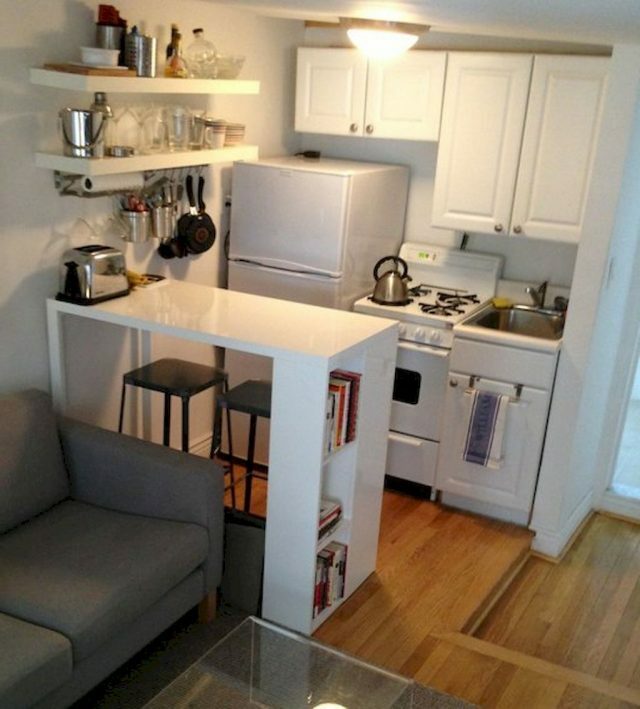 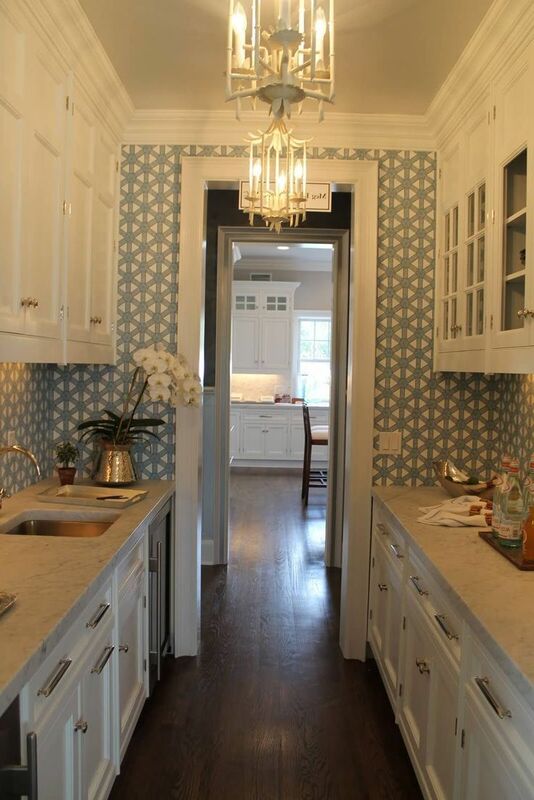 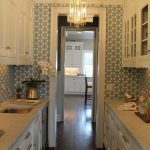 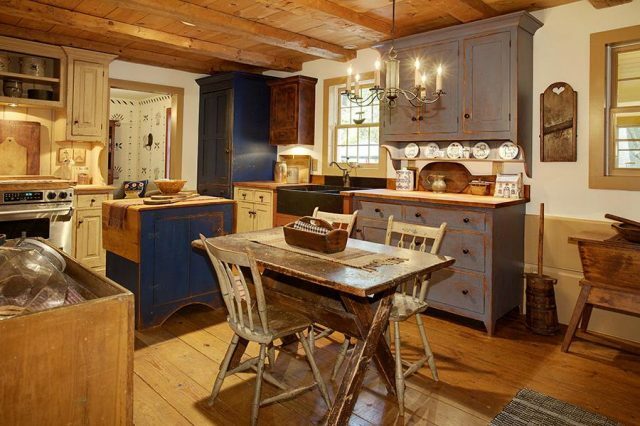 Ceiling chandeliers: ideal for a small kitchen with the low ceiling. 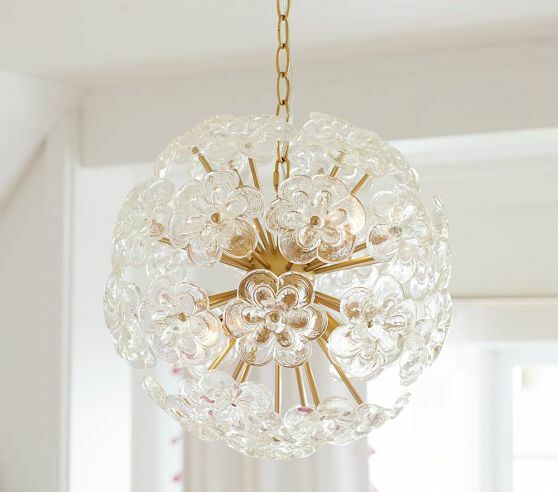 The plafond of such a chandelier can be translucent (matte) or completely transparent. 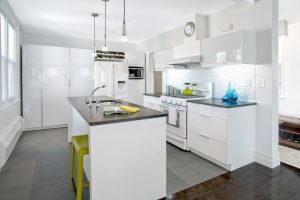 There are both normal white and colorful models. 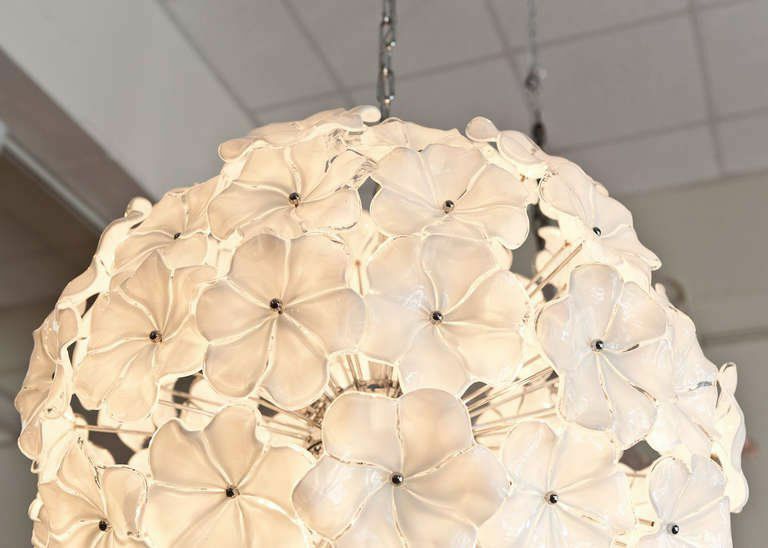 The shape is usually strict, geometric (circle, square), but there are also unusualdesign variations: models that resemble a crown, a tree, a flower orfigures that are even more complex. 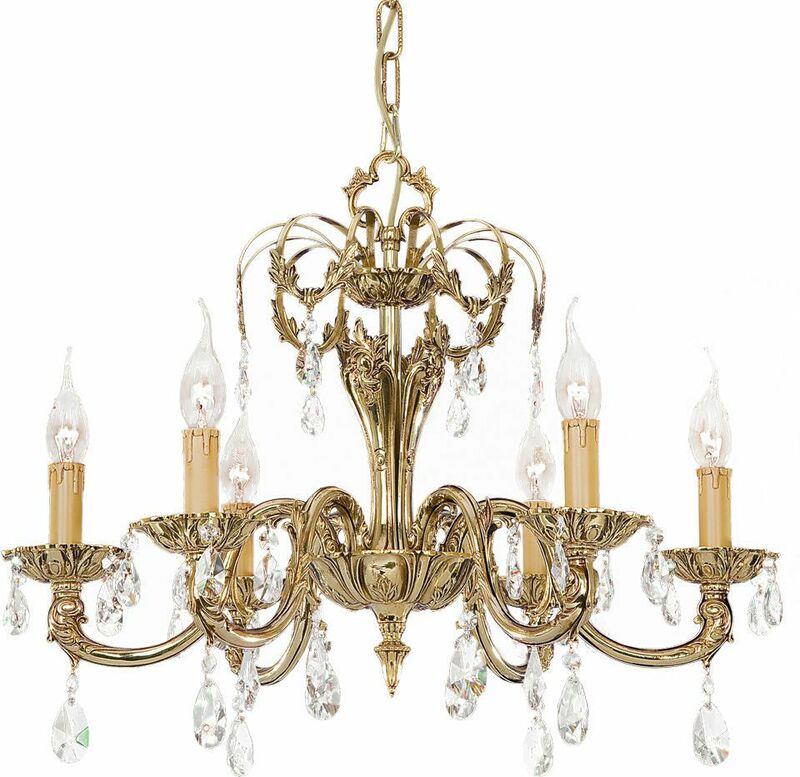 Another type of chandeliers is classic. 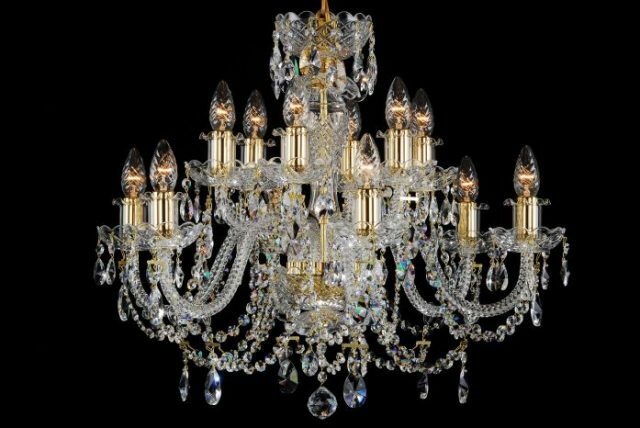 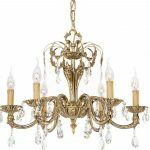 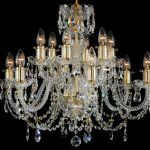 Such chandeliers look luxurious, they are distinguished by refinement and elegance in combination with chic and pretentiousness. 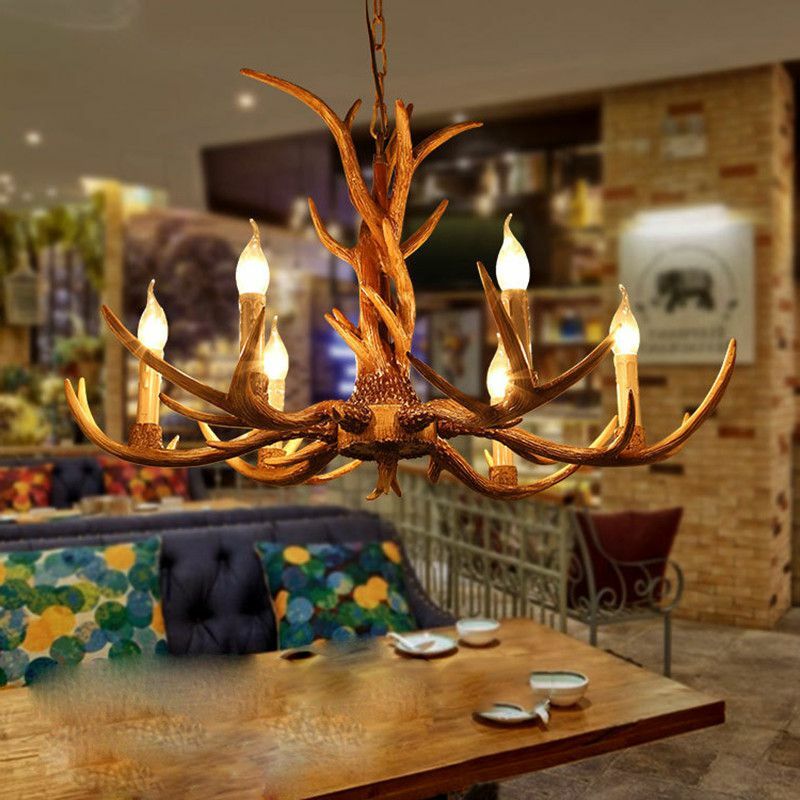 Eco-style – simple chandeliers made of natural materials (wood, paper, fabric). 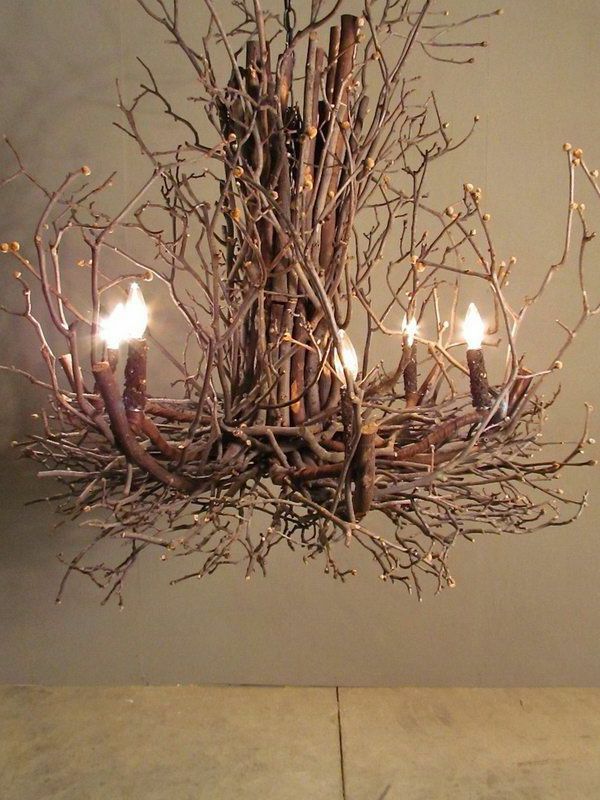 Wicker models look nice and interesting. 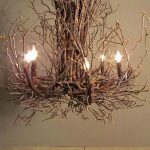 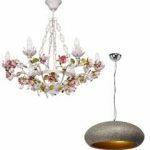 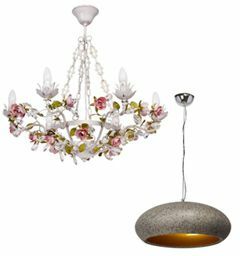 For the design of these chandeliersbranches, dried flowers, leaves, small stones, can be used. 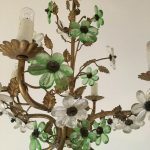 This chandelier will fit into the kitchen interior made not only in the eco style, but also in country, Provence, classics or ethno. 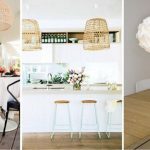 Comfortable kitchen lighting – how to create? 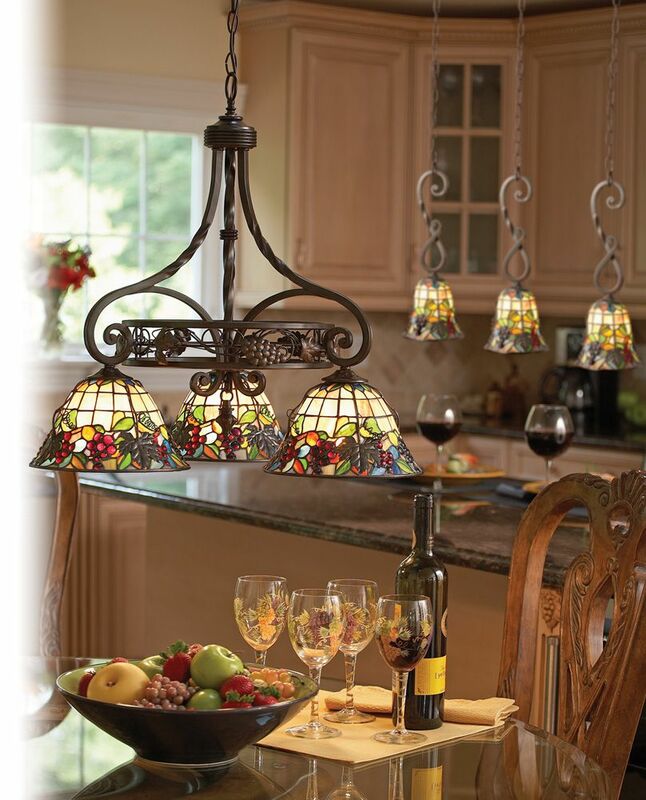 Chandelier in the kitchen is not just a source of light, but also an element of decor that creates a cozy atmosphere. 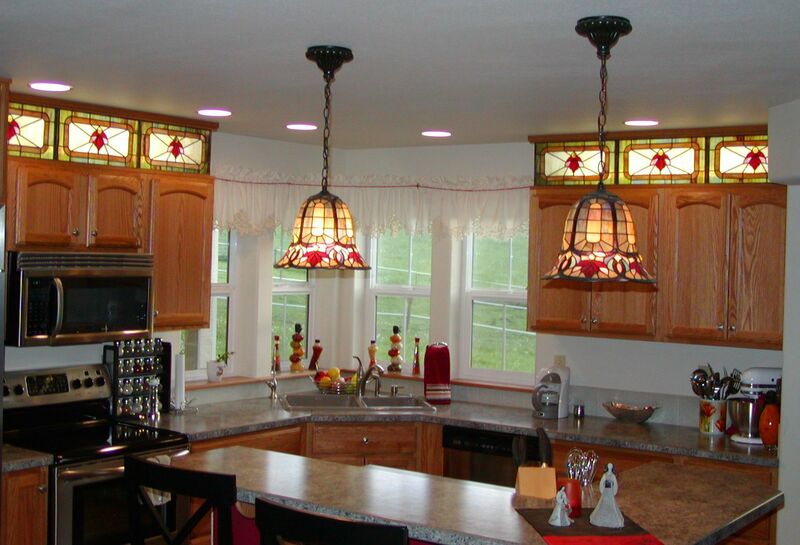 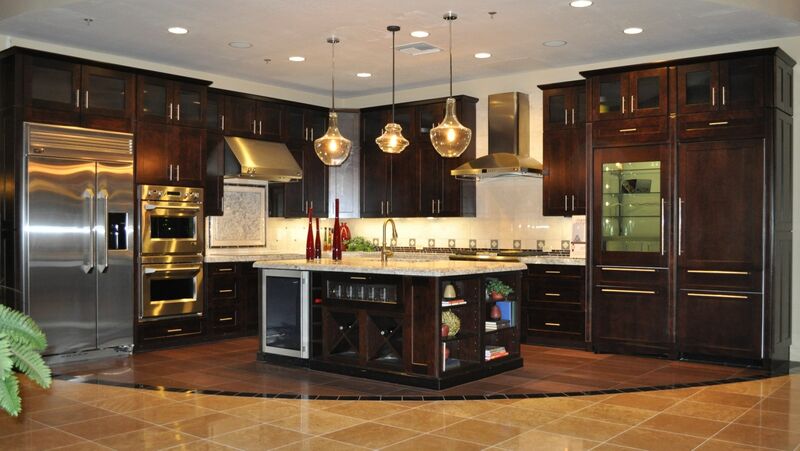 The kitchen should be light and comfortable, that is, both the working and dining areas should be well-lit. 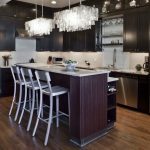 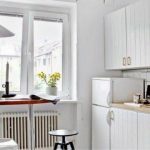 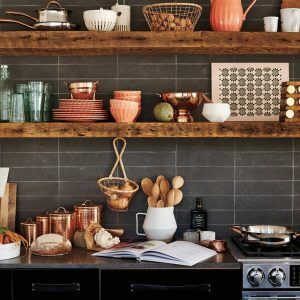 In the modern kitchen design you can do without chandelier: the area above the bar can be lit with a stylish wall lamp, the working area can be illuminated with hidden ceiling lamps. 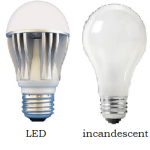 There are several types of bulbs, each has its own advantages and disadvantages. 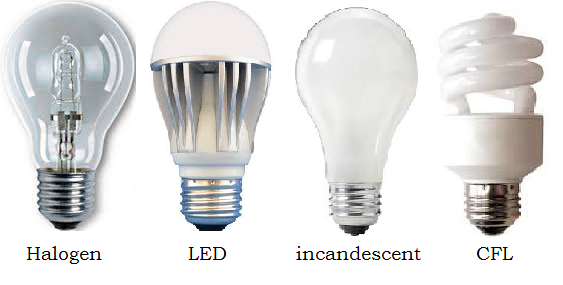 LED bulbs: expensive, but they are durable, economical, diverse (in terms of color) and very practical (they do not heat up, they serve for a long time and can be used both for lightings and as independent light sources). The choice of the bulb depends on the material from which the chandelier is made, the style of the kitchen design, and your preferences (not everyone, for example, like LED lighting) and financial possibilities. 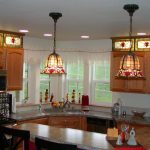 Ceiling chandeliers of simple geometric shape made of glass or plastic are perfectly suitable for the kitchen: they are easy to care for. 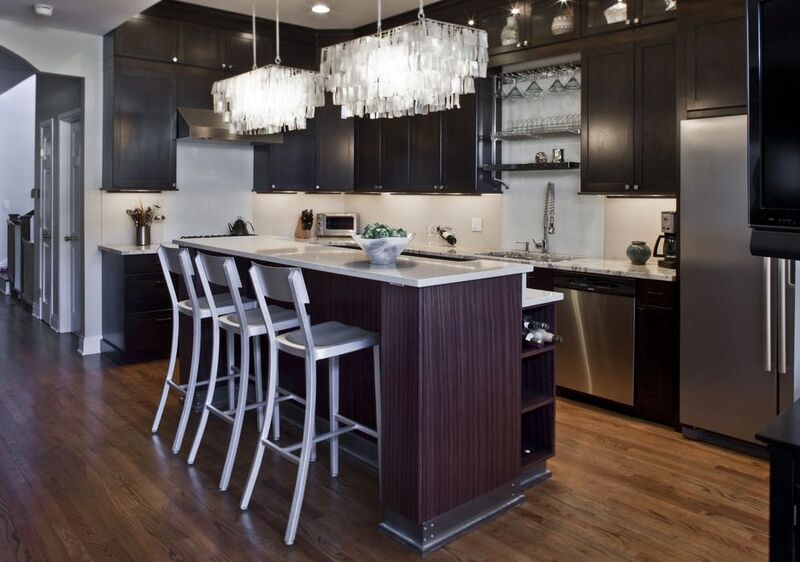 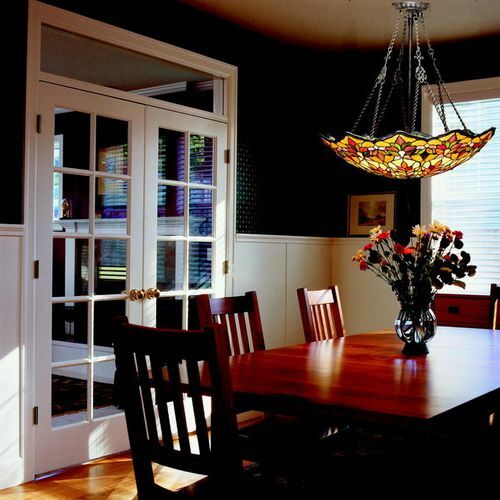 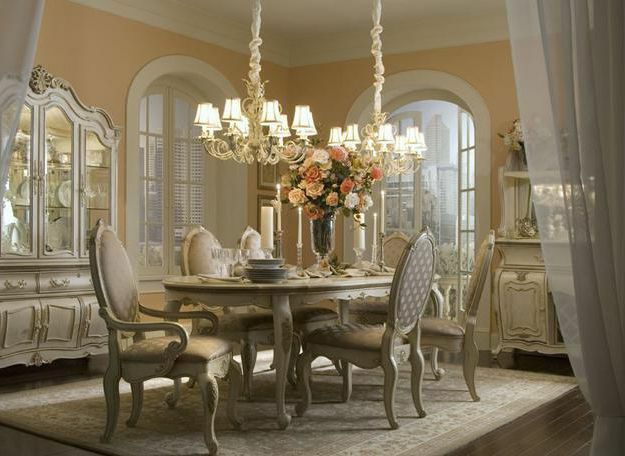 The chandelier should harmoniously fit into the kitchen space not only in style, but also in size. 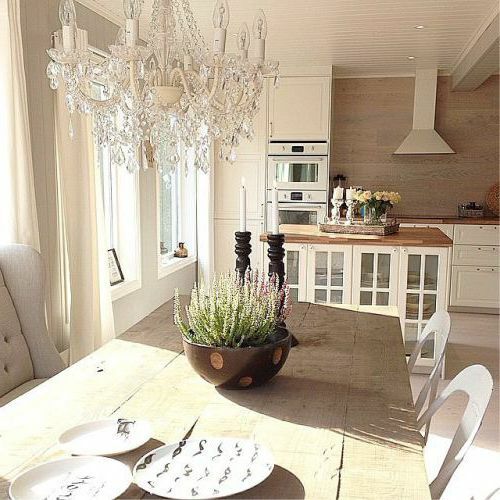 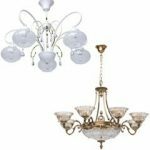 For a small kitchen or kitchen with low ceilings, the ceiling chandeliers are suitable. 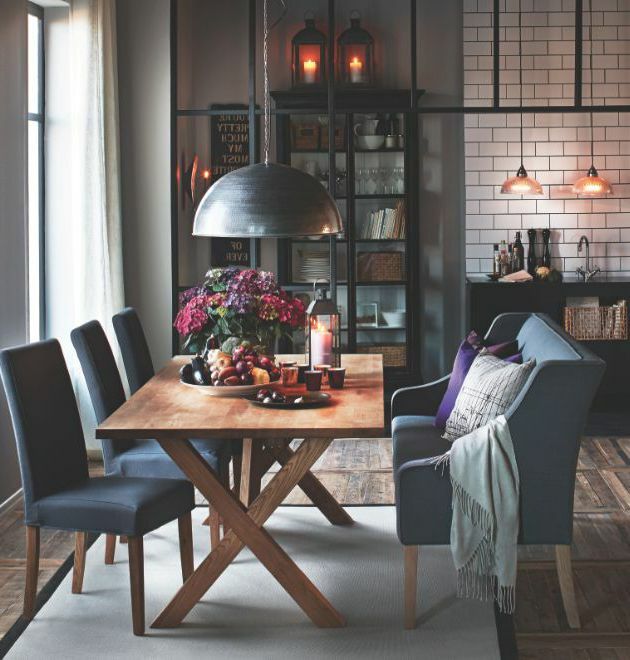 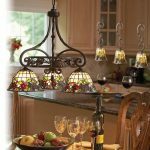 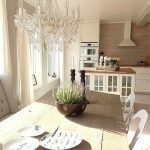 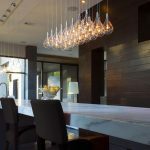 Suspended and ceiling chandeliers, glass and forged, laconic and chic – different chandeliers can create a special atmosphere in the kitchen; make the room higher and brighter or, on the contrary, to create the atmosphere of mystery and coziness. 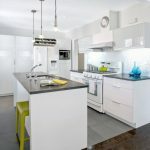 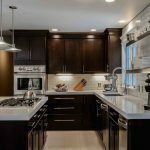 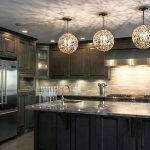 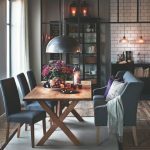 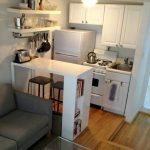 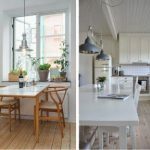 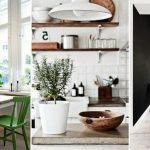 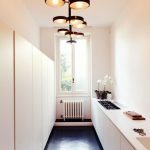 3 Comfortable kitchen lighting – how to create? 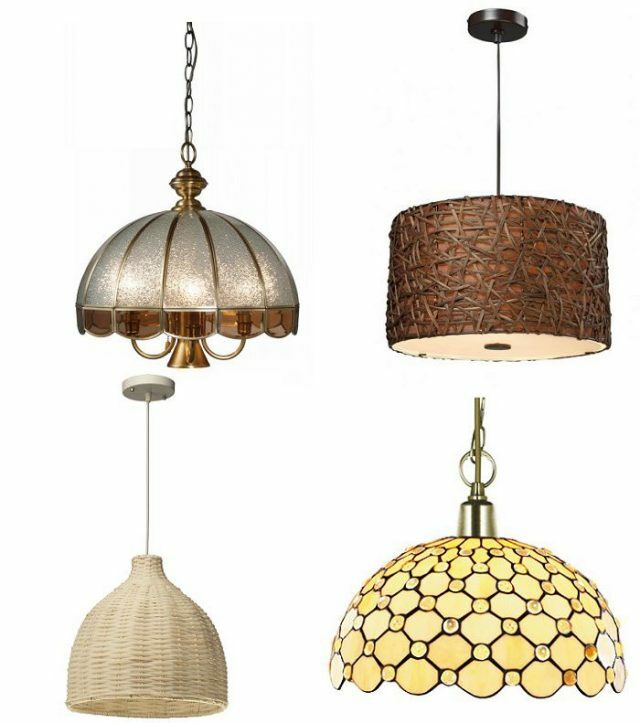 4 Which bulb to choose?